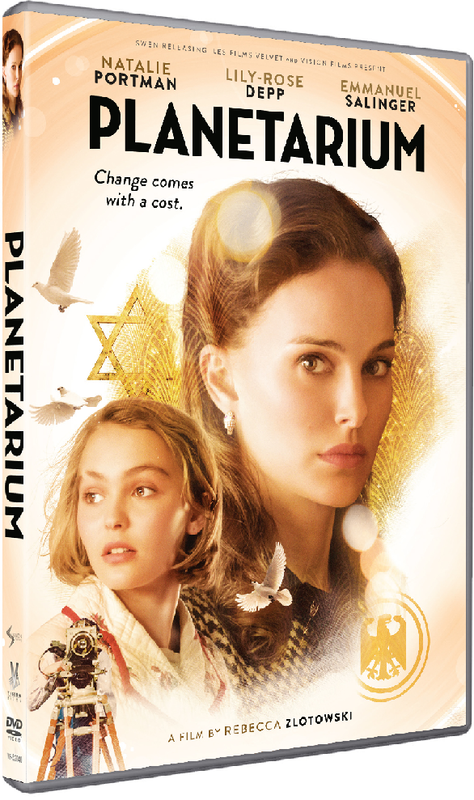 The DVD cover for co-writer-director Rebecca Zlotowski’s fantasy drama, ‘Planetarium,’ which stars Natalie Portman and Lily-Rose Depp. For people whose livelihood thrives on predicting the future, becoming so blinded by their ambition to succeed often means that they stop comprehending what’s truly going on around them. That increasing unawareness of the world at large, which leads to being overpowered and manipulated by hidden agendas, is one of the main sources of conflict in the fantasy movie, ‘Planetarium.’ Following its theatrical release in August, the drama is now available on VOD and DVD, courtesy of Vision Films. In celebration of ‘Planetarium’s home release, Shockya is offering three lucky winners a DVD of the mystery movie. To enter, email, us at ShockyaGiveaway@aol.com. Let us know that you’re entering to win the ‘Planetarium’ DVD giveaway in the email’s subject line and message. You have until next Friday, November 3 to enter, and you can enter the contest once daily. After November 3 we’ll pick the winners at random, and notify them through email. Good luck! The English and French-language movie had its World Premiere at the Venice Film Festival last year, and then screened at the Toronto Film Festival. The mystery movie stars Oscar-winning actress, Natalie Portman, and Lily-Rose Depp. The drama was directed by Rebecca Zlotowski, who also co-write the script with Robin Campillo. The film was produced by Frédéric Jouve for Les Films Velvet, and co-produced by Les Films du Fleuve, Kinology, France 3 Cinéma, Proximus and RTBF (Télévision belge). ‘Planetarium’ follows Laura and Kate Barlow (Portman and Depp), two young American sisters who are believed to possess the supernatural ability to connect with ghosts. As the two spiritualists are finishing their world tour in the late 1930s, they meet a visionary French producer, André Korben (Emmanuel Salinger), while they’re performing in Paris. He becomes fascinated by their gift, so he hires them to shoot a highly ambitious film. The sisters perceive the filmmaker’s offer as a perfect opportunity to gain recognition, but their new life soon spirals into a game of hidden agendas. As the trio becomes engrossed in the vortex of cinema, experiments and feelings, they don’t see what Europe will soon go through.